Scrum believes that employees are self-motivated and seek to accept greater responsibility. So, they deliver much greater value when self-organized. The preferred leadership style in Scrum is “servant leadership”, which emphasizes achieving results by focusing on the needs of the Scrum Team. Self-organization does not mean that team members are allowed to act in any manner that they want to. It just means that once the Product Vision is defined in Create Project Vision process, the Product Owner, Scrum Master, and the Scrum Team get identified. And the Scrum Core Team itself works very closely with relevant Stakeholder(s) for refining requirements better as they go through the Develop Epic(s) and Create User Stories process. Team expertise is used to assess the inputs needed to execute the planned work of the project. This judgment and expertise are applied to all technical and management aspects of the project during the Create Deliverables process. 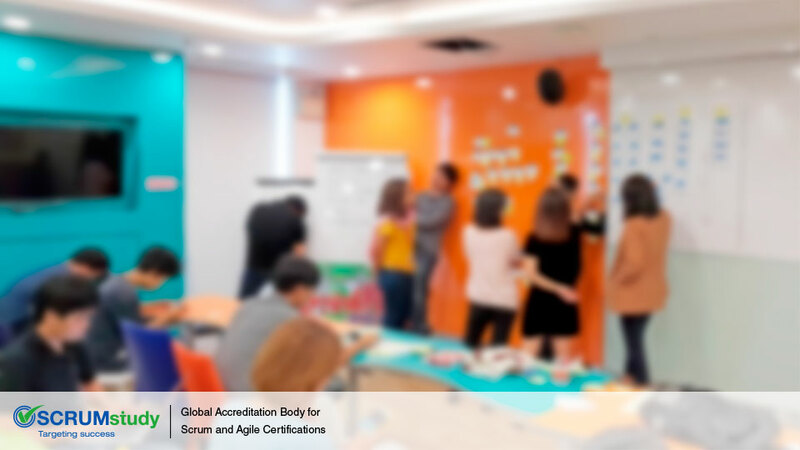 Although prioritization is primarily done by the Product Owner who represents the Voice of Customer, the self-organized Scrum Team is involved in task breakdown and estimation during the Create Tasks and Estimate Tasks processes. During these processes, each team member is responsible for determining what work he/she will be doing. 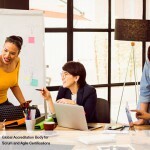 Suring the execution of a Sprint, if team members need any help with completing their tasks, Scrum addresses this through the regular interaction mandatory with the Daily Standup Meetings. 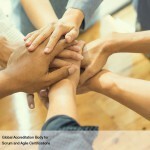 The Scrum Team itself interacts with other teams through the Scrum of Scrums Meetings and can look for additional guidance as required from the Scrum Guidance Body. Finally, the Scrum Team and Scrum Master work closely to demonstrate the product increment created during the Sprint in the Demonstrate and Validate Sprint process where properly completed deliverables are accepted. Since the Deliverables are potentially shippable, (and the Prioritized Product Backlog is prioritized by User Stories in the order of value created by them), the Product Owner and the customer can clearly visualize and articulate the value being created after every Sprint; and Scrum Teams in turn have the satisfaction of seeing their hard work being accepted by the customer and other stakeholders.